Previously, I had mentioned my wireless site survey setup. In that blog post I went over which USB hub I was using and what it looked like with the USB adapters plugged in. 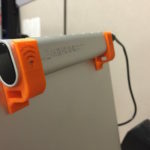 Because I am not into attaching Velcro to my laptop, I took advantage of gear ties to help hang it up on my laptop screen. It did the job but it wasn’t stable and firm. The gear ties actually took away one USB port in the process. 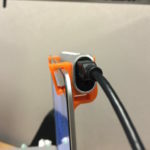 When Robert Boardman approached me with his idea of printing a USB hub holder I immediately wanted to test it out. Never had I imagined 3D printing would be contributing in a positive way to my work. With Robert’s idea I saw great potential. 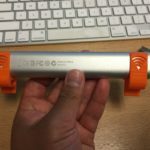 Others were looking for a solution to their USB hub woes. I could see it used on different laptop clam shells and tablets. 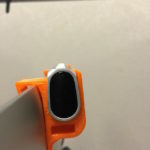 So in comes the Hub Holster. 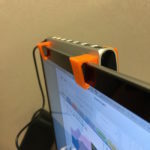 Clips to the top of a laptop lid with ease. Doesn’t leave any scratches on the laptop and sits snug. 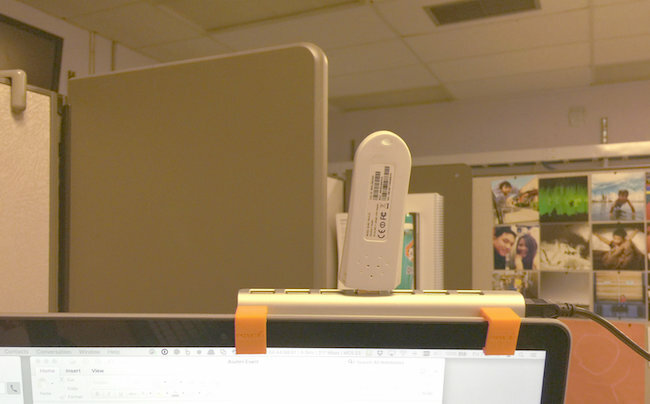 It solves the problem of having to place velcro on the laptop to mount the USB hub. What an ugly sight. 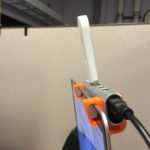 While doing a survey with the Hub Holster I wasn’t worried about having the USB hub fall off mid-survey. The USB adapters stayed in place with ease of visibility. What also surprised me was how much back and forth Robert and I did just to get a final revision out. Only a few messages and two shipments later did Robb hit it right on point. My USB hub is not a perfect shape and it lacks any real flat straight lines. It’s rather curvy. Luckily, with a few somewhat precise measurements around the longest edges Robert was able to send me a solid Hub Holster. And because Robert is awesome, I sent him a vector image of my logo which got etched into the Hub Holster. Extra kudos! So if you’re looking to keep your laptop or tablet pristine of Velcro, purchase a set of Hub Holsters for a professional look.